Once the largest and most important monastery in England, Rievaulx Abbey now lies in ruins in a beautiful and tranquil valley. Rievaulx (pronounced "Ree-vohl") was the first Cistercian abbey in northern England and its ruins are among the most atmospheric in the region. The monks thought so, too: one Rievaulx abbot described his surroundings as "everywhere peace, everywhere serenity." 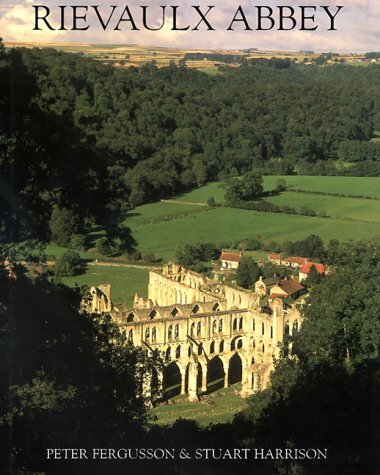 In 1132, St. Bernard of Clairvaux sent 12 monks from Clairvaux in France to found the Abbey of Rievaulx. The first church on this site, built c.1135 to 1145, was probably modeled on the mother house at Clairvaux and reflected the functional austerity of the time. From these modest beginnings grew one of the wealthiest monasteries of medieval England and the first northern Cistercian monastery. Rievaulx enjoyed the protection of nearby Helmsley Castle, the owners of which provided much of the abbey's land. At one time, the inhabitants of Rievaulx numbered some 150 monks and 500 lay brethren, and it became the mother house of several other northern abbeys. The monks of nearby Byland Abbey disputed land ownership with Rievaulx, which led to engineering works to divert the course of the River Rye, the boundary between their properties. You can still see traces of the old river and the channels dug by the monks. A steady stream of monks came to Rievaulx Abbey, attracted by the prestige of Abbot Aelred, author and preacher, who was regarded then and later as a wise and saintly man. Following his death in 1167, the monks of Rievaulx sought canonization for their former leader. In the 1220s, the monks rebuilt the east part of the abbey church in large part to create a more splendid edifice to house his tomb. Most of the 13th-century presbytery still stands to virtually its full impressive height, a reminder of Rievaulx's original splendour. Rievaulx was still a vibrant community when Henry VIII dissolved it in 1538. Its new owner was Thomas Manners, first Earl of Rutland and one of Henry's advisers. In accordance with the king's orders, he swiftly instigated the systematic destruction of the buildings and the stripping of the valuable lead roofs. In the 1750s Thomas Duncombe III beautified the estate by building the terrace with two Grecian-style temples; these temples, now called Rievaulx Terrace & Temples, are in the care of the National Trust. Rievaulx Abbey is located in rural North Yorkshire, surrounded by scenic countryside and kept company by grazing sheep. It is an exceptionally peaceful and beautiful site, rivaled only by the slightly less remote Fountains Abbey. Most of the nave has disappeared, leaving behind only its great pillar bases, but the transepts and presbytery at the east end are almost entirely intact. Rebuilt in the 1220s, the presbytery is a great work of Early English architecture. It has notable similarities with Ely Cathedral, which was built around the same time. The remainder of the 15-acre site contains a variety of monastic buildings in various stages of ruin. Some walls still rise to full height and virtually the entire abbey can be identified at foundation level. The monks' refectory is especially well preserved. This beautiful dining hall, measuring 124ft (37.5m) long and 50ft (15.2m) high, was supported by an undercroft. Some arcading and several of the graceful arched lancet windows of the refectory give an indication of the former glory of this communal hall. An indoor exhibition, 'The Works of God and Man', explores the agricultural, industrial, spiritual and construction aspects of Rievaulx's history, employing a variety of lively and interactive displays. There are family-friendly books and activities, and special childrens' trails during school holidays. Rievaulx Abbey is located 2 1/4 miles west of Helmsley on a minor road off the B1257. OS Map 100, ref SE 577849. Closed Dec 24-26, Jan 1. Personal visit (May 28, 2006). 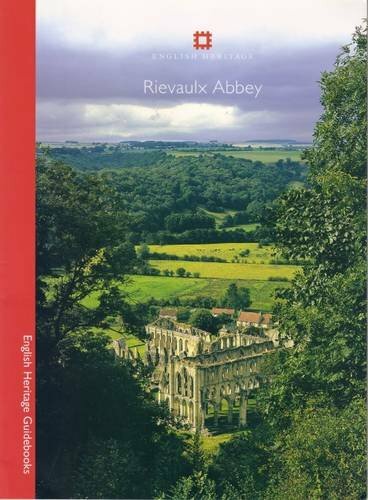 Rievaulx Abbey (English Heritage Guidebooks, 2006). Lonely Planet Great Britain, 6th ed. (2005). "Rievaulx Abbey," The Heritage Trail. "Abbey of Rievaulx," Catholic Encyclopedia. Below is a location map and aerial view of Rievaulx Abbey. Using the buttons on the left (or the wheel on your mouse), you can zoom in for a closer look, or zoom out to get your bearings. To move around, click and drag the map with your mouse.